We can all agree that one of the most famous things about Argentina is the meat and the famous ritual of the “asado”. With this in mind, nobody wants to miss the opportunity to taste an amazing asado while at the same time learning about how it is prepared, step by step, with the help of the “asador” (grillmaster). Luis is an expert “asador” who had the bright idea of ? ?turning his gift for barbecuing into an exquisite 5 course meal at Steaks by Luis, showcasing the highlights of a full argentine asado. Luis began preparing asados at the age of 11 led by his grandfather. He estimates to have done more than a thousand asados and is willing to share his expertise at the grill and answer questions from all who wish to learn more about this tradition that extends throughout the country. Steaks by Luis is located in a beautiful terrace belonging to a loft located on the first floor on a corner of Palermo Soho. It is a “closed door restaurant” meaning you have make a reservation beforehand and guests sit at a communal table. Steaks by Luis starts with a classic “picada”: a table of cold cuts and cheese and glasses of fine Argentine wine while Luis lights the coals on the grill. During this time diners have some time to show up and learn some Argentine customs accompanied by an excellent hostess. Next they can go visit the grill, where Luis tells them about the process, rituals and secrets of a great Argentine asado; which of course is much more than cooking meat. Throughout the experience diners are served salad, achuras (typical Argentine asado appetizers like chinchulines, chorizo and blood sausage), a large steak and a dessert. Although foreigners are not used to eating certain parts of the cow, Argentines eat almost everything, and this is a good opportunity to try these delicacies. Believe it or not, these are the favorite parts for many Argentines and some items, such as sweetbreads, are often very expensive in restaurants. Along with the achuras an amazing “provoleta” is served: a delicious slab of cheese cooked in an iron pot with a little olive oil or directly on the grill. Each dish is accompanied by the perfect pairing of wine and an explanation of each dish being served. The dessert is cheesecake, but obviously in its Argentine version with a classic dulce de leche flavor. The cost of dinner is US$75 and includes all food, wine, dessert, and most importantly, the atmosphere of a traditional asado among friendly people and the chance to see it step by step, which you will never find in a traditional restaurant. Make reservations on the website. Oh damn the Argentinean food is so delicious… i’ve been here for 5 years and still l<3ing it! 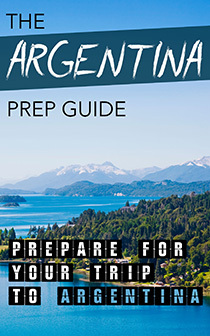 Download Our Guide Book To All of Argentina for Kindle! A New Dining Concept In Buenos Aires Fuudis, a new concept in the Buenos Aires dining scene, combines live artistic performances, tours of the city and innovative culinary experiences. Buenos Aires Cowboy Fair La Feria De Mataderos is a weekly fair in the Argentine capital with traditional folk dancing, handicrafts and food, as well as popular gaucho (cowboy) demonstrations. Buenos Aires Critical Mass Thousands of cyclists from all walks of life regularly gather in Buenos Aires for a communal, organic event that celebrates the joys of cycling and promotes its positive effect on the city. Buenos Aires World Of Art ArteBA — one of South America’s most important contemporary art fairs — is bringing the biggest names in Latin American art to the Argentine capital. Buenos Aires’ Must See Music Event Buenos Aires offers different events every night of the week, but for a truly unique snapshot of the city’s music scene, La Bomba Del Tiempo is not to be missed. Buenos Aires’s Man Tour Combing history, macho activities and old-school Porteño flavour, the Man Tour offers travellers an inside look at the panache of Buenos Aires men. Drinks With A View In Buenos Aires While Buenos Aires is already known for its open-air bars and lounges, there are few options that take advantage of the city’s stunning skyline. English Comedy in Buenos Aires The first English language stand-up comedy show has arrived in Buenos Aires. In Buenos Aires – A Private Chef Dinner Inspired By Art Puertas cerradas — closed-door restaurants that operate out of a chef’s private home — are becoming increasingly popular in Buenos Aires, and Max’s Supper Club is one of the most creative spots to try. Innovative cuisine pops up in Buenos Aires Fuelled by the demand for diverse cuisine in a city dominated by pizzerias and parrillas, pop up restaurants are stealing the show. Lunge With The Locals In Buenos Aires After a few days in Buenos Aires, the local diet of steak and wine may have some travellers yearning for a little exercise. Playing polo in Buenos Aires Take in a match or saddle up yourself in one of the world’s great cities for the sport. Rock around the clock in Buenos Aires The best small clubs and bars where Argentine rock bands battle to make a name for themselves. 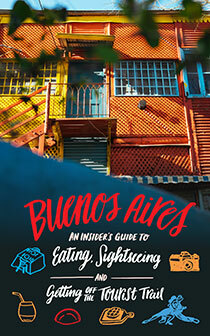 Seeing Buenos Aires Through A Different Lens Plenty of travellers bring a camera on holiday and snap photos to record their trip, but fewer people use their cameras to discover new neighbourhoods or see a destination differently. Where to find the best steak in Buenos Aires Discover the parrillas that only locals know about on culinary-themed walking tours around the Argentine capital.